After taking Ibiza by storm this summer, Hot Creations are to bring their Ibiza party to London for a special Paradise event at Brixton’s O2 Academy on the 13th April 2013. 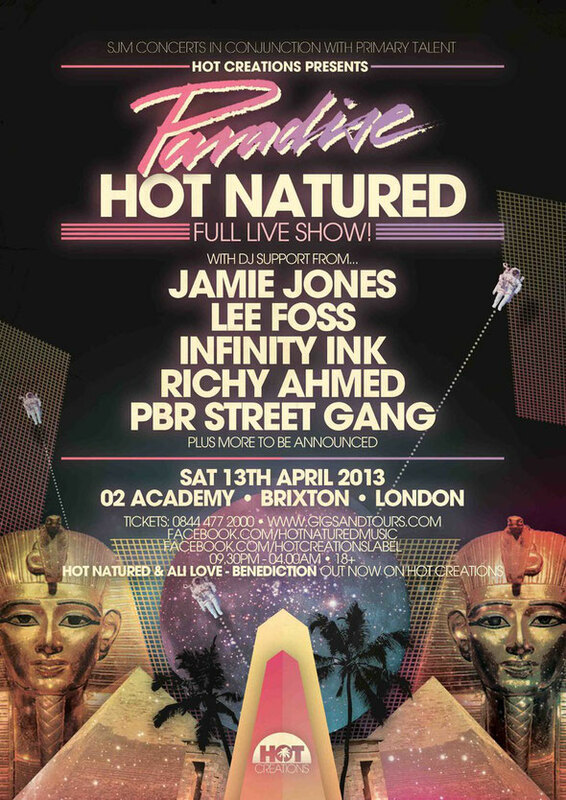 The event will feature the live debut of Hot Natured, the collective of Jamie Jones, Lee Foss, Luca C and Ali Love. Latest single ‘Benediction’ has become one of this year’s biggest dance tunes, and their debut album and live shows could be set to be one of the significant stories in electronic music in 2013. DJ support comes from Jamie Jones, Lee Foss, Richy Ahmed, Infinity Ink and PBR Street Gang, with more acts to be announced soon.